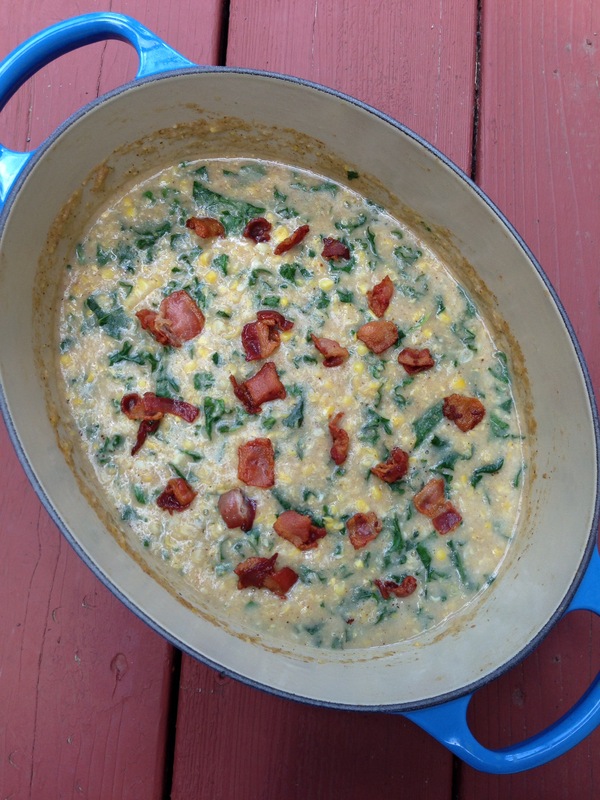 In a medium pot, sauté bacon pieces over medium heat until crispy, remove from pot and set aside. Stir in 2 tbsp flour, whisk 2 minutes. Add 2 cups of chicken stock, whisk 2-3 minutes. Add corn, cook 2 minutes. If using frozen corn, thaw first.